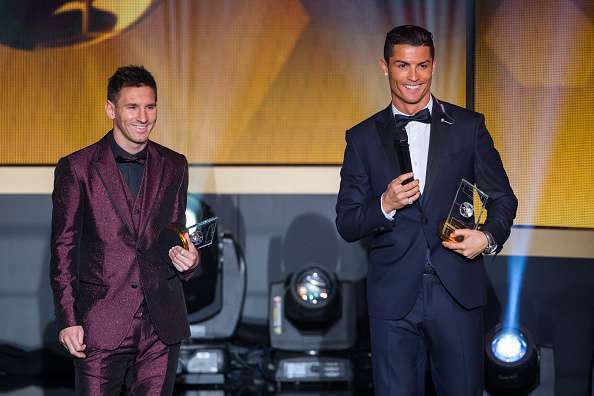 It is a debate that has dominated the football scene for the past decade or so. Of course, when two players consistently play at the level they do, the comparisons that were going to be drawn were inevitable. Their meteoric rise has also seen the redefinition of the term ‘world-class’. The two have been compared ever since Messi burst onto the scene during the 2007/08 season with Barcelona, with Ronaldo lighting up the Premier League with Manchester United at that point in time. Invariably, both players have won a significant amount of trophies with their respective clubs as well as a plethora of individual honours, most notably passing the Ballon d’Or award amongst themselves since 2008. A distinct lack of international trophies however, is what apparently kept them from being mentioned in the same breath as the likes of Diego Maradona and Pele. With Ronaldo recently captaining Portugal to the European Championships and Messi so famously losing in the finals of the Copa America Centenario this year, the debate has shifted in favour of the Portuguese superstar. But why do we need to choose? Why not both? Here, let’s take a look at 5 reasons as to why we need to end this fruitless debate once and for all. We have been truly blessed to be living in a time where we get to watch two players rewrite history as we know it. When you think of either of the two, you realise there probably aren’t enough adjectives in the English language capable of doing justice to the feats they have managed to achieve. If asked to describe them, you’d probably throw around words such as phenomenal, extraordinary, exceptional, out of this world, mesmerising, silky, skillful, and unparalleled and a whole lot more and well, you’d be absolutely right. By virtue of their unique skillset, you can argue that Ronaldo made it because of his athleticism, power and sheer determination to succeed, whereas Messi is the more naturally gifted one, but yet someone who had to hone his craft to perfection to reach the level he is at currently. But neither achievement can be depreciated. We as a people have become desensitised to records being broken. It’s easy to forget that there was a time when it stood for decades and the fact that is has become so commonplace now speaks volumes of their quality and doggedness. When their time does come to an end, the entire world will quite possibly reminisce of them as having been the greatest of all time.